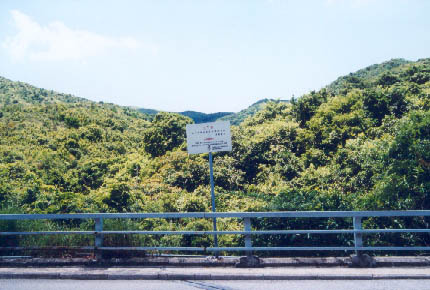 Tsak Yue Wu (Carp Lake) Stream locates in Sai Kung area. Its entrance is right next to Pak Tam Road (北潭路). It embraces many medium-to-small sized water pools. It is however, most of its pools (not all) harbour significant number of algae. Its appearance in wet seasons and dry seasons varies a lot. 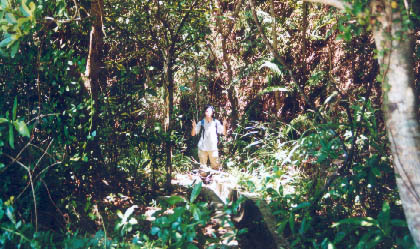 The entrance of the stream lies under a bridge on Pak Tam Road. There is a faint footpath leading you from the bridge to the waterfront of the Tsak Yue Wu stream. The lower stream of the stream is rather fettering. This is a mid-sized water pool in lower stream, it accommodates many fish and is almost algae free. This pool looks very compromising but there is a lot of healthy algae. Under the fierce summer sun, you just have no choice but to dip. 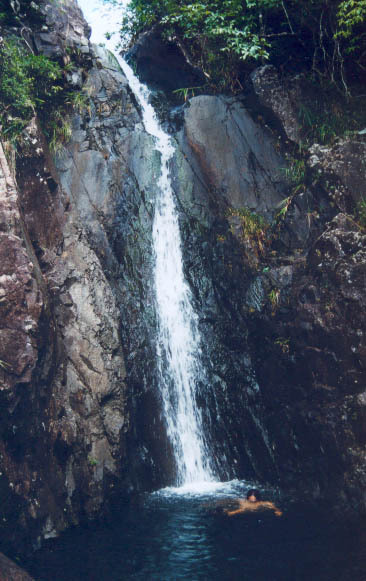 It is a rather tall waterfall, actually it is the tallest waterfall in this stream. 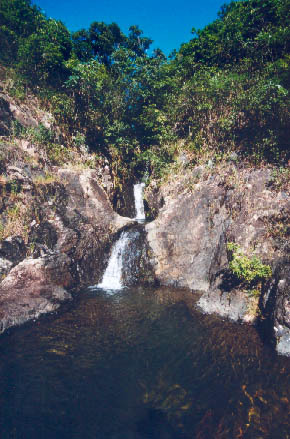 This waterfall vanishes in dry seasons. The water pool under the waterfall is comparatively small. The pool has only about 2M deep. At this point, it seems no way to get to the top of the waterfall. Don't worry, there is always a way out. Step back a bit and you will find a ladder-like cliff on your left. Take this ladder to reach the top of the waterfall. 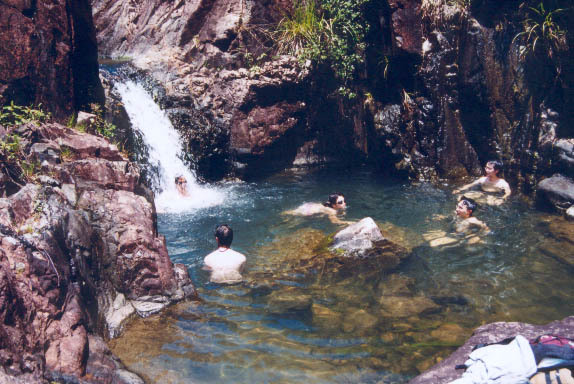 Here you will find two small water pools connected by a short waterfall. The upper pool is cool, deep and dark. Even with the aid of strong noon sunlight, you just have no idea how deep the upper pool is. At this point, you will encounter a relatively large and clean pool. 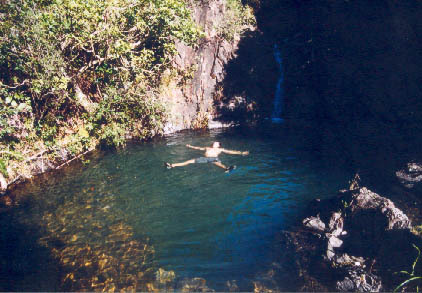 This is the last sizable water pool in the stream. It is probably the cleanest one as well. 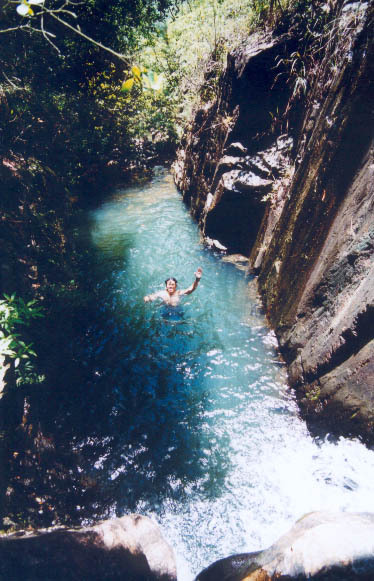 At about 145M, you will meet another watery cliff. One can overcome it on the right hill side. At about 200M, the stream eventually dries up and you will see quite a number of ribbons suggesting the exit which brings you to an open grass land. The route in the grass land is rather confusing. 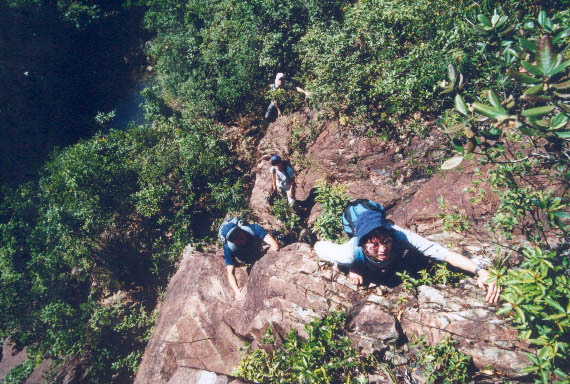 With a little bit of endurance, you will get to the main hiking trail soon.